The University of Louisville School of Dentistry offers three levels of care and a variety of programs and services to accommodate most patient needs and budgets. The complexity of your medical and dental needs will determine whether you’ll be seen by a student, resident, or faculty provider. Please understand that our student dentists-in-training may not have acquired the skills needed to complete your care. 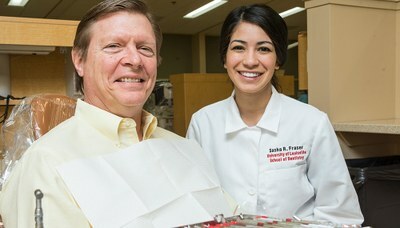 However, our residents and faculty at UofL Dental Associates are capable of addressing the most involved dental cases. contact us at 502-852-5096. We are your dental home.